Highways 41 & 36 UPDATE – Cologne, Minnesota | A great place to Live, Work and Grow! 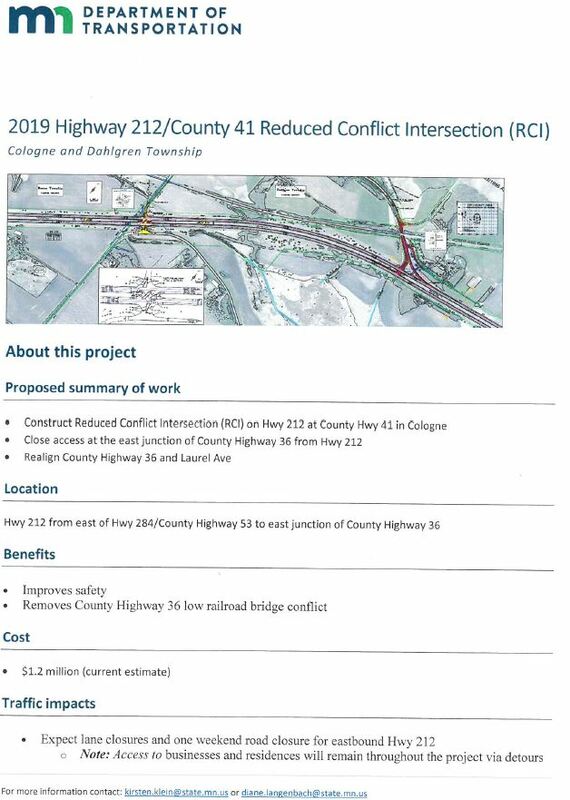 Upon receiving feedback from residents concerning the Highway 36 closure, MNDoT is postponing the project until the County, MNDoT, the City of Cologne and the surrounding Townships have had further opportunity to review plans and options. Please continue to check here for information regarding the project. A website will be up soon through the County with specifics.